California-based Creamistry, an ice cream chain that uses liquid nitrogen, is enveloping Dallas-Fort Worth with high-tech ice cream, with four locations set to open this spring. The chain makes its ice cream with liquid nitrogen, a super-cold freezing process allows the vendor to make ice cream to order, which is a growing trend. (Creamistry stands for cream + chemistry.) The smoke that accompanies liquid nitrogen also puts on a good show. They opened their first DFW location in Addison in December. 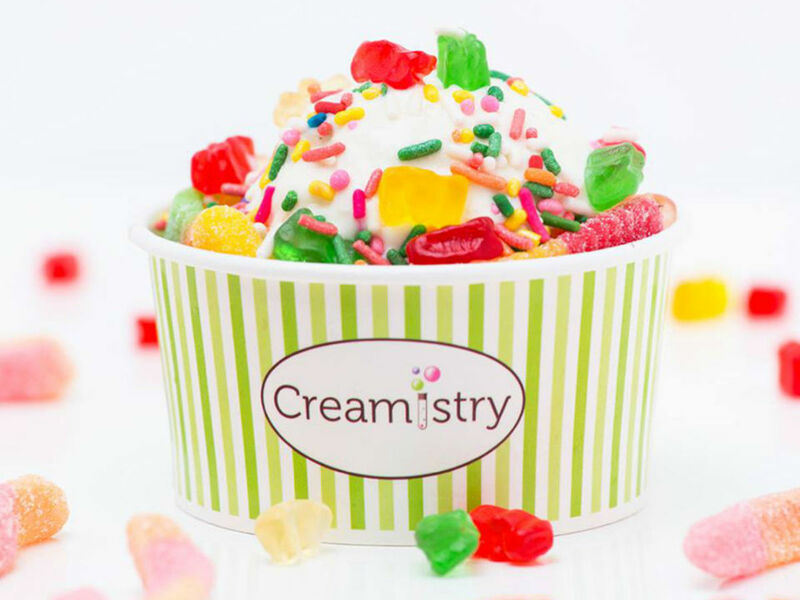 Creamistry CEO Jay Yim says in a release that the company is enjoying big growth. 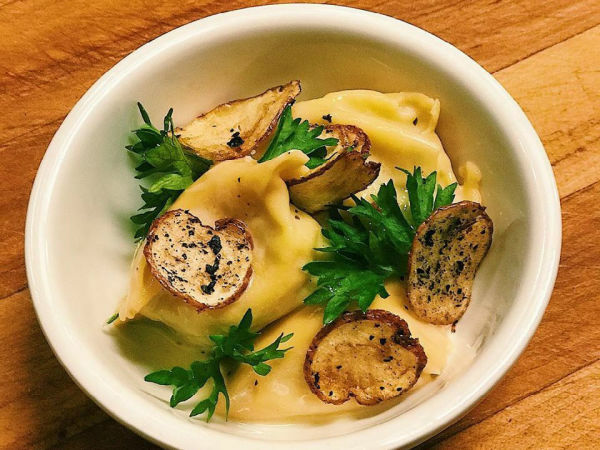 "We are excited to continue growing our presence in the DFW community and become a part of the ever growing food scene," he says. "We create a quality product that’s extremely customizable from ice cream bases to flavors and toppings." Creamistry was founded in 2013 after Yim spotted a street vendor making liquid nitrogen ice cream in South Korea. He, his father, and his wife Katie experimented with flavors for two years to create the current menu. You choose a portion size, then an ice cream base (premium, organic, vegan coconut, or non-dairy sorbet). You choose one of 30-plus flavors, and then toppings from a list of 35-plus options that include candy, cookies, cereal, fruits, and sauces. When the liquid nitrogen (-321° F) hits the base, it freezes so fast that ice crystals don't have a chance to develop, resulting in a rich and creamy ice cream with virtually no overrun. You can get it in a cup, waffle bowl, or a bowl made from chocolate. They tout their wide selection of vegan, dairy-free items including sorbets and ice creams made with a coconut-milk base. They also do shakes and floats, including one made with nitro coffee brew. There are currently more than 45 shops open and operating in four states, and then hundreds if not millions more in various stages of development worldwide. Franchise owner Aamir Rajani owns the shops on the Dallas County side including Addison, Las Colinas, and Greenville Avenue. 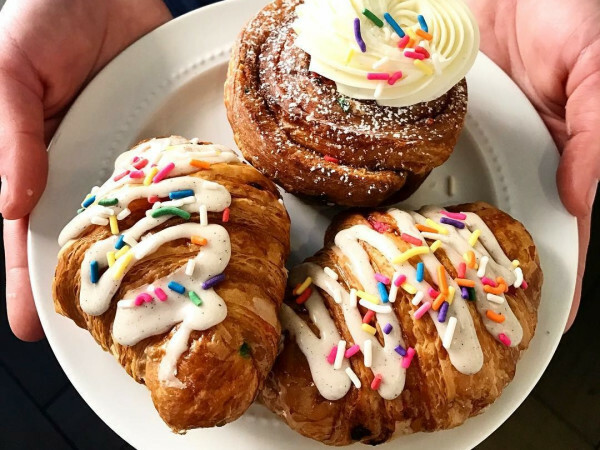 He says that Creamistry is not a typical ice cream destination — "it's an experience," he says. The franchisees for Fort Worth include Jordan Scott, the owner of the Mama's Pizza chain, and his wife Nicole.